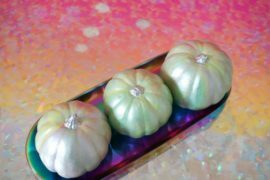 Pumpkins are one of the most widely recognized symbols of fall in North America, and have been used in both indoor and outdoor home décor for centuries. 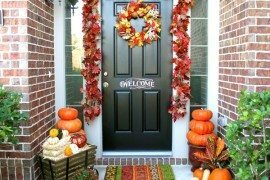 As you drive through any given neighborhood during the month of October, you’re likely to see dozens of pumpkins sitting upon the front stoops of houses. 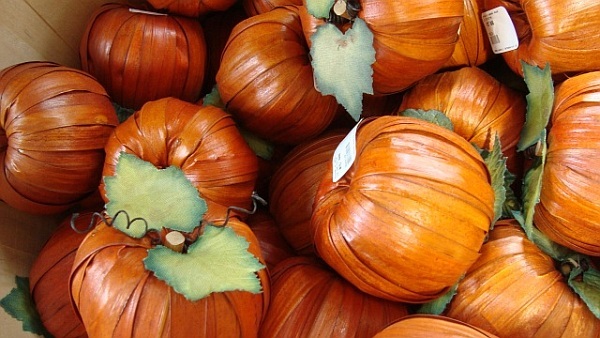 Some may even be cut into Jack-o-Lanterns or decorated with paint. 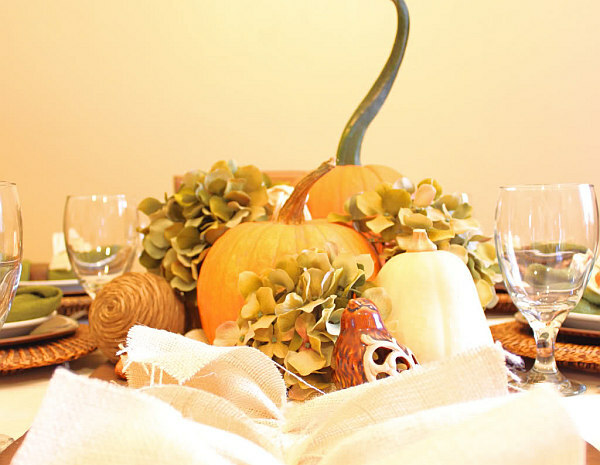 1) Place Settings – Centerpieces are the most obvious place for a pumpkin on the table, but try to switch things up. 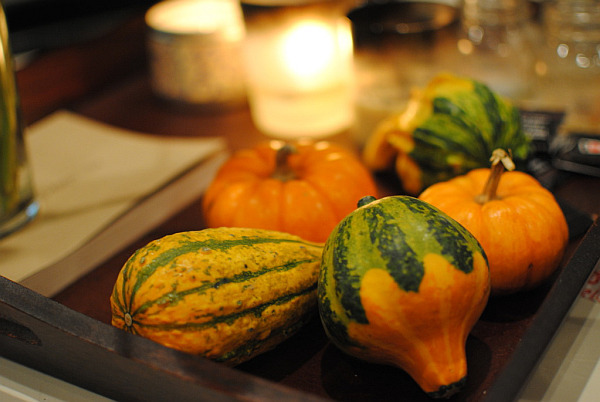 Add a miniature pumpkin onto each plate as a fun little surprise for your guests. 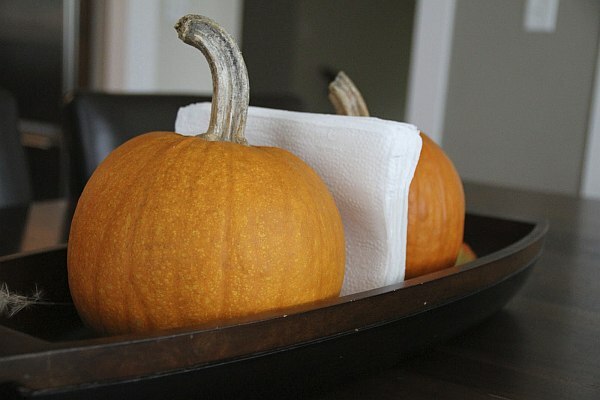 For dinner parties, you could even use small pumpkins as place cards by creating tiny toothpick name flags. 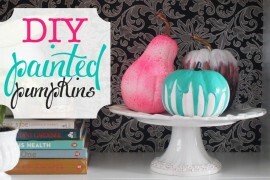 For a more elegant look, paint your pumpkin a beautiful gold or stark white. 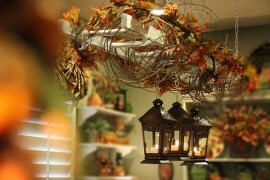 2) In a Bowl – Display dishes and bowls are great places for seasonal décor. 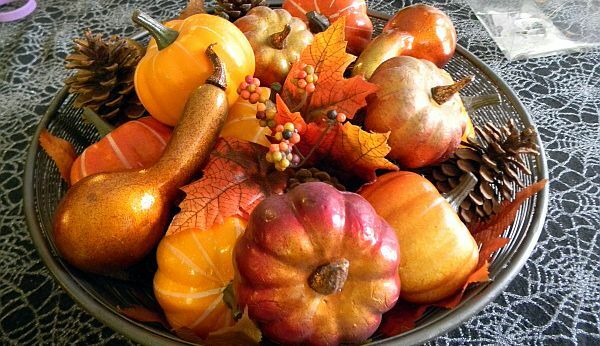 In areas where you may place holiday potpourri or scented candles during other times of the year, add various sized pumpkins. 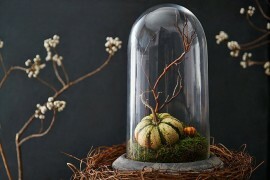 Accent your gourds with sticks of cinnamon, dried leaves and other autumnal items. 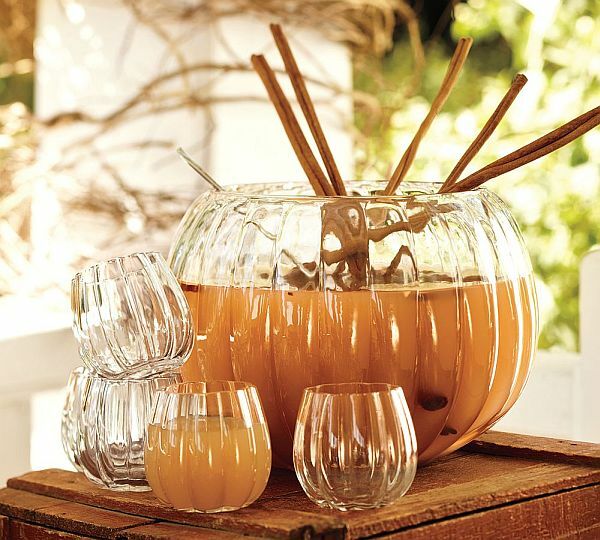 Use pumpkins to top a candle stick holder or stack inside a large, clear glass vase. 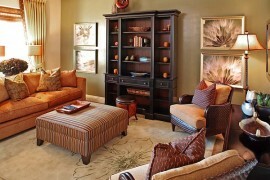 3) Bookends – Bookcases are meant for display, and they’re a great space for changing up décor with each season. 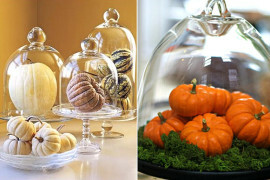 Select different sized, colored and shaped pumpkins and place them about your bookcase or china cabinet. 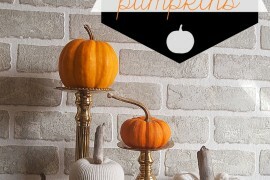 Use them as bookends or place atop a stack of plates for a unique and colorful autumn accent. 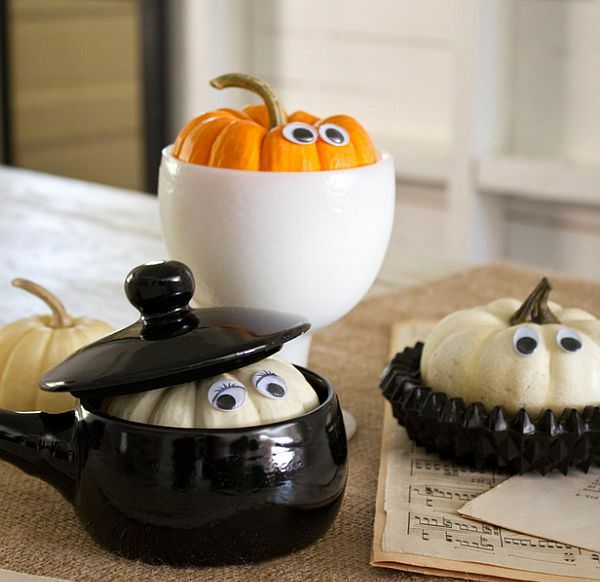 Or maybe as a napkins holder? 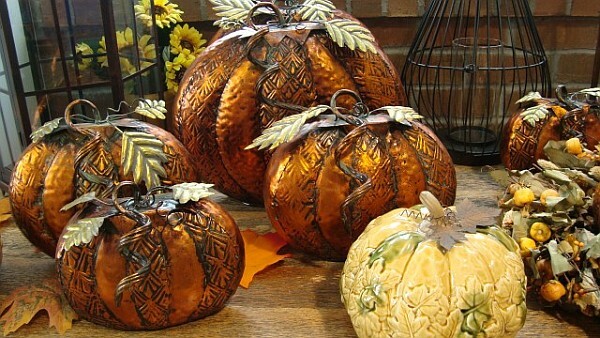 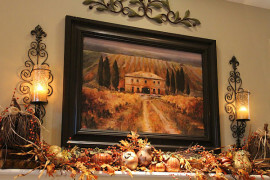 There is really no end to the way you can use these delightful squashes to decorate your home this season.